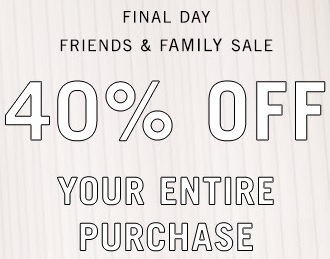 U.S. Perry Ellis is celebrating their friends and family by discounting everything by 40%! Today is the last chance to take an advantage of this amazing Friends & Family Sale. No code is needed to receive the offer, discount will automatically apply at checkout. Plus, receive a free shipping when you spend over $75. Offer is valid until Tuesday, April 26, 2016. For more information about this offer visit Perry Ellis online. Official source of the information is U.S. Perry Ellis.